State officials and other opponents of changing the current system argue that staffing early bail reviews with lawyers could cost upwards of 30 million dollars per year. The flip side to this argument is that unnecessary detention of defendants costs the state millions per year as well and actually contributes to some defendants committing more crimes in the future. A study by a large philanthropy organization concluded that defendants who are detained for more than 3 days are 40 percent more likely to commit another crime before their trial than those detained under 24 hours. The logic behind this study is that lengthy detention causes defendants to lose their jobs and fall behind on bills, thus necessitating a return to criminal activity. Regardless of whether this study holds water or whether the financial cost benefit actually supports changes to the system, the fact remains that there is no reason defendants who are not flight risks or a public safety risks should be detained pre-trial. An arrest is nothing more than an accusation, and the presumption of innocence is not just a catch phrase. If the Court of Appeals rules that defendants are entitled to counsel at all stages of a criminal preceding then the entire early bail review system could be headed for a major transformation. And doing away with the entire commissioner review process is not out of the question. Nor should it be, as many other states have found a way to establish a relatively streamlined bail review process while guaranteeing that all detainees receive legal counsel at initial hearings. The 30 million dollar per year figure that is thrown around by state officials to fund representation at this stage is actually quite laughable. There are 24 legal jurisdictions in the state, and adding as many as five full time public defenders in each jurisdiction would only cost about 7 million dollars. Most jurisdictions wouldn’t need more than one or two additional pds to handle first appearances, and even factoring in additional staff member, judge, and state attorney salaries this number hardly would approach 30 million dollars. Plus the state could decrease the number of commissioners on the payroll, a change that many lawyers and legal analysts would welcome. The Blog will follow this case over the course of the next few weeks, and will post another article if a newsworthy decision comes out of Annapolis. 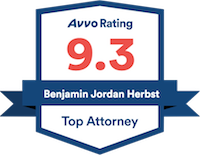 Benjamin Herbst is criminal defense lawyer practicing in every Maryland jurisdiction. He handles all types of cases and hearings ranging from bail reviews to circuit court jury trials. Contact Benjamin for a free consultation about your case.